Fiber media converters support many different data communication protocols including Ethernet, Fast Ethernet, Gigabit Ethernet, T1/E1/J1, DS3/E3, as well as multiple cabling types such as coax, twisted pair, multi-mode and single-mode fiber optics. Media converter types range from small standalone devices and PC card converters to high port-density chassis systems that offer many advanced features for network management. Fiber optic media converter, also known as fiber transceivers or ethernet media converters, are simple networking devices that make it possible to connect two dissimilar media types such as twisted pair such as Cat 5 or Cat 6 cable with fiber optic cabling. They are important in interconnecting fiber optic cabling-based systems with existing copper-based, structured cabling systems. 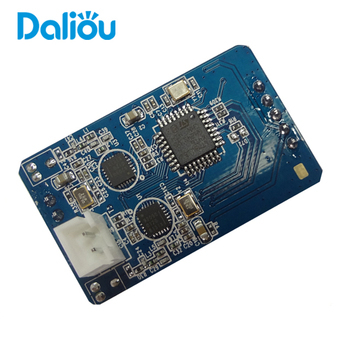 1) for over 6 years of experience in PCB manufacturing and PCB assembly. 2) Divisions are fully equiped by top quality machine from Japan and Germany. 3)Trimmed costs, reduced downtime and improved yields. 4)Efficient production and strict QC inspections. 7)One-Stop Service for PCB Layout,PCBs,PCB Assembly,PCBA and Turnkey Contract. 1)by understanding Customers' Needs to analyze and build the layout. 2)To choose the right PCBs and surface treatment,techniques required by customers. Thanks for taking your valuable time and your time spent will be totally rewarded.